2017 Mover & Shaker honoree Linda Hofschire discusses how librarians can conduct their own original research in order to show library value with SAGE Publishing’s SVP of Global Learning Resources. Idaho’s Boundary County Library District is the Best Small Library in America, 2017. 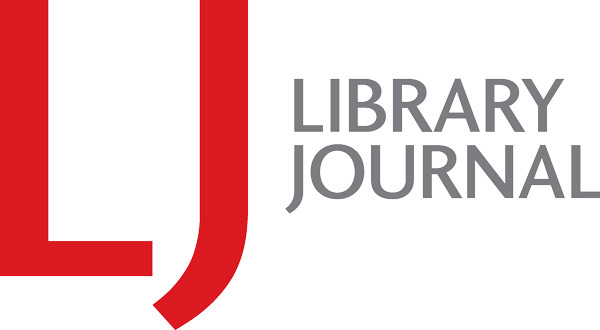 In the scope of its programs, services, and collections; the incredible reach of its efforts in cooperation with other public agencies, departments, and local businesses; and its work to identify and fulfill needs of both the mainstream and marginalized people of Nashville and Davidson County, the Nashville Public Library (NPL), the Gale/LJ 2017 Library of the Year, is a model for the nation and the world. Nancy Evans, young adult librarian at New York’s Levittown Public Library, got the idea for her young adult (YA) program Strong Girls School after she shared YA author Maureen Johnson’s post “Why Do We Photoshop People?” with the girls in her writing program. They loved it, and their reaction inspired Evans to develop a program to support and empower girls as they deal with gender issues such as self-esteem. As an army veteran returning from Iraq in 2007, Sarah LeMire struggled to balance family responsibilities with her pursuit of a master’s degree in English. A few years later, in library school, she found a support network through the campus veterans office. At meetings with the student veterans group, she met people who understood what it was like to leave a war zone and attend college. For most parents, reading a story aloud to their children is a bond-building experience they wouldn’t trade for anything. Not everyone, though, has that opportunity. “For parents who are incarcerated, and for their children in particular, that loss of connection can take a devastating toll that could last a lifetime,” says Nick Higgins, who spearheaded TeleStory, a program at the Brooklyn Public Library (BPL) to help alter this particular unhappy ending. When Sandy Tharp-Thee started as director at the Iowa Tribal Library in Perkins, OK, in 2009, she didn’t even have a shoestring budget. As she was introduced around the tribal offices, Tharp-Thee carried a big bag and asked for supply donations for children’s crafts. Cynthia Mari Orozco realizes asking a librarian for assistance can be intimidating. Her first and only experience asking for guidance as an undergraduate resulted in her quickly leaving the building. 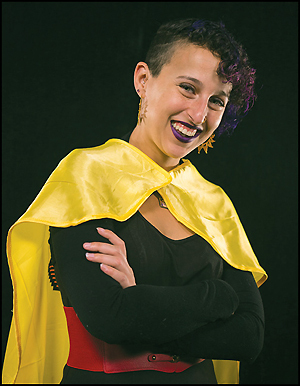 These days, Orozco goes out of her way to make herself approachable to students who may be experiencing library anxiety. “I can’t afford both books and food,” reads a University of Idaho student’s comment on a Change.org petition to reduce the cost of textbooks. 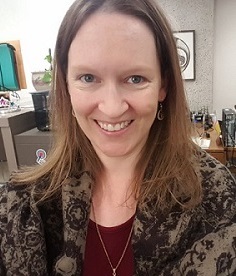 “I have to choose to either eat or pass my classes.” That student has a champion in Annie Gaines, who moved from a clerical position to become the University of Idaho Library’s first scholarly communications librarian. Erik Berman subscribes to a “teen run, teen led” mentality, according to senior librarian Sharon Fung at San José Public Library (SJPL). 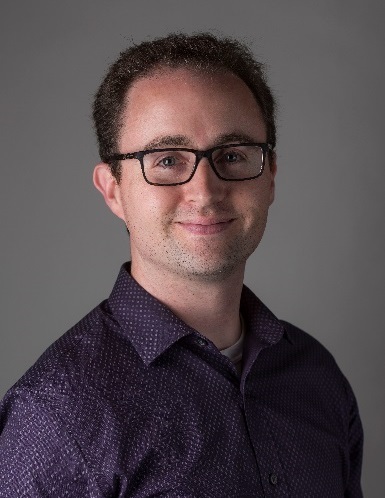 “He works tirelessly to get to know his teens, build their confidence, and guide them into taking an active role in the library.” Hand in hand with local teens and professional designers, Berman is responsible for the creation of the new teen center, TeenHQ, in San José’s central Dr. Martin Luther King Jr. Library. A few years ago, then youth services manager Katie Johnson noticed that no one from Pinewood Gardens, a subsidized housing development near the Twinsburg Public Library, was coming to story time. She reached out to the Akron Metropolitan Housing Authority (AMHA) to ask about setting up a weekly story time at the site, home to nearly 95 low-income kids under five. The answer was yes, and Johnson partnered with AMHA employee Kellie Morehouse to create Play, Learn, & Grow, an early learning and support program, in a vacant room near the leasing office. Gina Seymour’s grandmother was a clerk at the Queens Borough Public Library, NY, and as a kid, Seymour spent many hours there. Unlike at school, where her book selections were limited to those with the “pukey green” level label, she says, at grandma’s library she could read any book and learn about experiences different from her own. Aiden Street has all the instincts of a great librarian. “I want to know what keeps people up at night—what are they worried about and what can the library do to help them achieve their goals?” As regional coordinator for the Pioneer Library System (PLS), Norman, OK, and Moore Branch manager, she is perfectly situated to help alleviate some of those worries. Raised by activist parents, Sophie Maier has had a career defined by advocacy. After the events of 9/11 rocked the global community, Maier, who had spent time abroad and had more travel plans ahead, decided to stay in the United States and explore her hometown: Louisville, KY.
Mara Thacker’s love of Indian culture began at 18 when she watched her first Bollywood film. Captivated, she dove into South Asian literature, learned Hindi, and, ultimately, earned a degree in Indian literary and cultural studies. This gave her the tools to create a unique collection of South Asian comics and graphic novels at her library. For more than 25 years, Robyn Saunders has worked with people seeking to change their lives. That number is about equal to the number of nominations she received—from colleagues, social workers, community board members, organizations, job seekers, and others. As a member of the Métis Nation of Alberta, Colette Poitras understands the impact library access can have for Canada’s indigenous populations—and how the smallest of obstacles can undo those benefits. Ann Plazek has long believed in going where non–library users are. She developed her passion for outreach as a young page riding along on bookmobile runs, honed it as bookmobile supervisor at Medina County District Library (MCDL), OH, and today excels at it as the library’s outreach services manager. 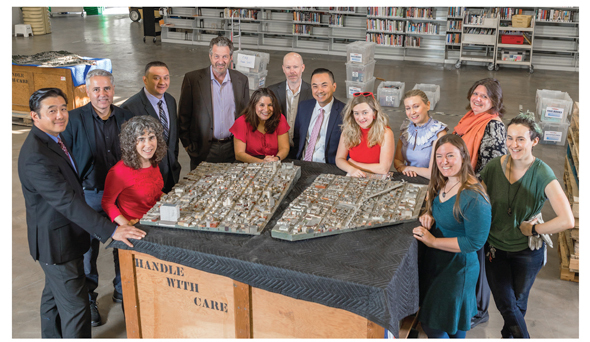 “I love opportunities to…let the community know how much has changed in the last ten years,” she says, using regularly scheduled Pop-Up Libraries to do just that. Recently named director of community engagement at the Queens Library (QL) and former outreach coordinator, Kim McNeil-Capers describes her role as “a human bridge of connectivity”—to customers, external and internal stakeholders, community organizations, government officials, and more. Her outreach programs have served over 10,000 people annually, including incarcerated patrons and those living in housing projects. In high school, Kelly McElroy and her best friend, both daughters of librarians, made a pact that neither would follow in their mothers’ footsteps. Fortunately for her students and fellow librarians, McElroy didn’t keep her promise. 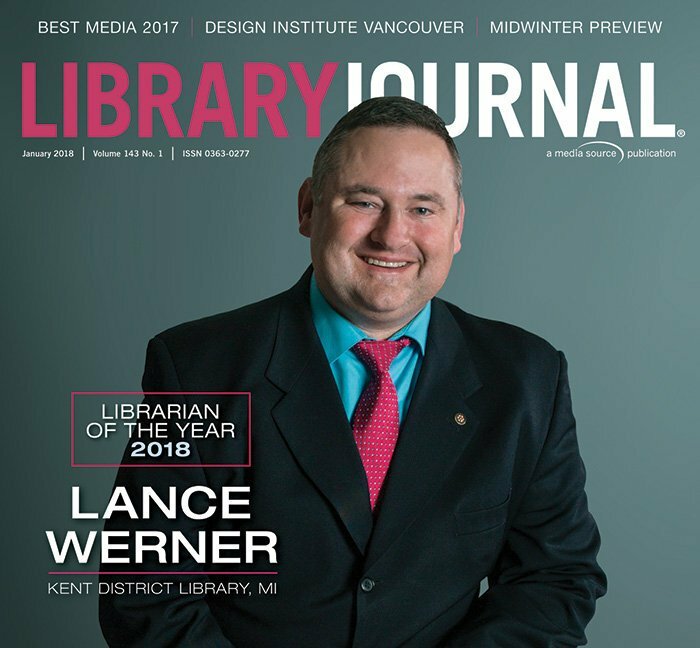 When Deb Koep started asking around about how the West Vancouver Memorial Library, BC, could meet local technology needs, “a lot of folks thought all I’d hear was ‘faster Wi-Fi,’ ” says the former head of technology, communications, and collections. Instead of settling for meeting only basic immediate needs, however, she opted to dive deeper and find a way truly to understand her community’s relationship with technology. At Burlington County Library System (BCLS), Joan Divor is leading the charge on small business education and promoting entrepreneurship. 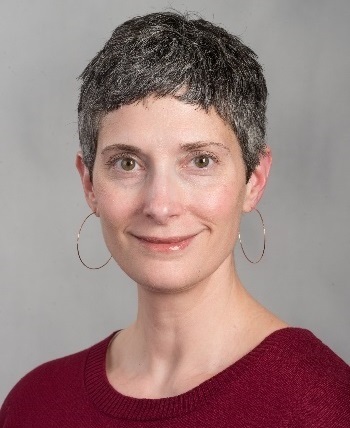 “Joan is tireless in her efforts to bring relevant and substantial content to small businesses in the area,” says Michelle Martin, BCLS community engagement manager. She’s also unflagging in her promotion of libraries (and their resources) as central to the success of business communities and economic growth, according to Martin. “I’m actually happy I’m in jail right now!” is one of the statements Jesse Vieau has heard from the teens he works with through Making Justice, an outreach program for court-involved and at-risk youth in Wisconsin’s Dane County Juvenile Court Detention Center, Shelter Home, and Neighborhood Intervention Program. Under the umbrella of the Bubbler, Madison Public Library’s (MPL) arts and Maker hands-on program, Making Justice brings technology and other Maker programming to youth who might not have the opportunity to participate. As a third grade teacher fresh out of college, Sara Trettin landed a spot at the Library of Congress (LC) Summer Teaching Institute. She credits that experience with preparing her to become a key driver of Future Ready Librarians, an initiative aimed at raising awareness among district and school leaders about the importance of the role librarians can play. Ann Schoenenberger knows the value of community and personal connections to the people of Kenton County, KY. Her partnerships with the local Maker community, web developers, and tech companies have helped almost 1,000 people learn new skills through STEAM-related (science, technology, engineering, art, mathematics) classes or groups on Raspberry Pi, Arduino, Python, and more that she organized at Kenton County Public Library (KCPL).